Tesla has detractors and die-hard, do-anything fans. The funny part? Both sides always feel like they're winning. 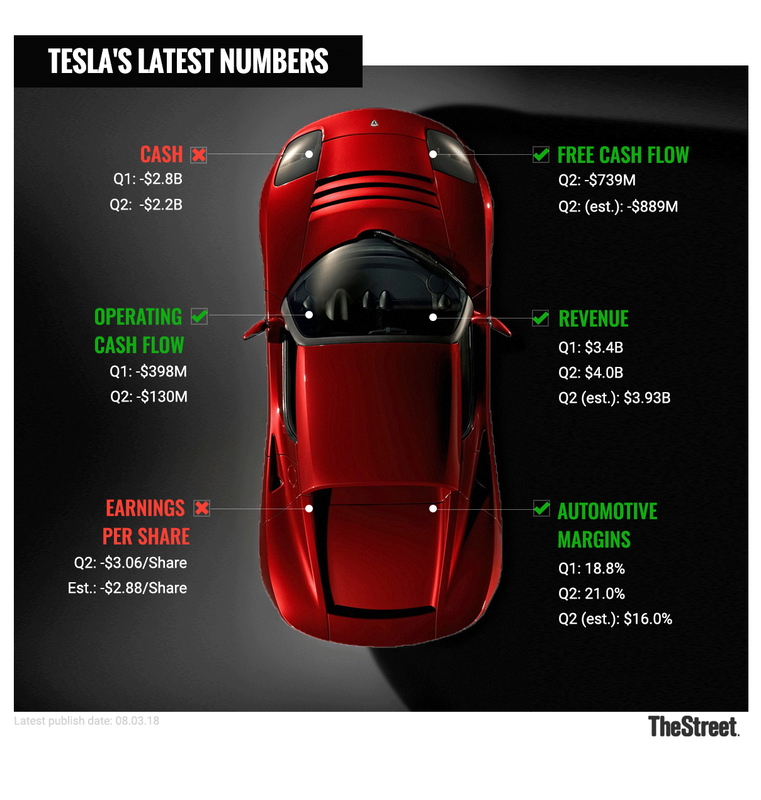 Here at TheStreet, we've had near-constant coverage of Tesla Inc. (TSLA - Get Report) . That's no surprise, given the daily newsflow revolving around this polarizing company and its CEO Elon Musk. So almost nine full months into 2018, what's the most amazing thing about the stock so far? That almost no matter what the news is that day, both the bull camp and the bear camp think it's another checked box in the win column for themselves. Think about it. When Tesla announced quarterly earnings, the bulls latched to the near-44% year-over-year sales growth and revenue totaling $4 billion. Bears argued that Tesla lost over $3 per share. Free-cash outflow neared $740 million, a sign of impending collapse to the bears. However, bulls cheered this result, as it came in vastly below the $889 million outflow estimate that analysts were looking for. In other words, spending was more disciplined and Tesla's financials (while not great) were healthier than consensus expectations. How about the go-private deal. The bears didn't seem defeated for even a minute, despite M&A being perhaps the most lethal blow to a short-sale case. Many were miffed about Musk's seeming disregard to the financial markets and regulations that the rest of us operate within. But the bulls didn't blink either. In fact, many of them were irked too, arguing that they want Tesla to stay public so they don't have to sacrifice their long position when Tesla comes off the public market. Of course, that go-private plan didn't pan out. The range of emotions with this stock seems unrivaled. It's reminiscent of stocks like Netflix (NFLX - Get Report) or Action Alerts PLUS holding Amazon (AMZN - Get Report) , but the argument with Tesla has seemed to have more longevity. Is it because Tesla threatens massive industries like autos and energy? It doesn't help that, from a traditional fundamental perspective, it's not of high quality. Where to for Tesla Stock? Even the analysts are split. At last check there are 9 buy ratings, 12 hold ratings and 11 sell ratings. That's almost as mixed as you can get and was even more evenly distributed before Nomura went from buy to hold Tuesday morning. Various independent reports have suggested that production is not being met by demand or that production is drying up this quarter. The latter contradicts what we have heard from the company thus far, two months into the third quarter. While Tesla has apparently missed its goal of producing 6,000 Model 3s a week by the end of August, it still cranked out almost 35,000 of them in July and August, according to reports. That puts it on track to achieve its current goal of making 50,000 to 55,000 Model 3s for the quarter. So what should we keep an eye on? While the day-to-day and week-to-week news will be volatile - as investors have no doubt seen - I would really like to see how this quarter shapes up. While Tesla likely won't report earnings until early November, this one is important. It's Time to Ask: Should Elon Musk Be Out as Tesla CEO? Management has stuck to its guns, predicting it will be GAAP profitable and cash-flow positive this quarter and next. They believe the company can produce more than 50,000 Model 3s and a recent update suggests an even more bullish take. The company said: "We are about to have the most amazing quarter in our history, building and delivering more than twice as many cars as we did last quarter." Last quarter, Tesla produced more than 53,000 vehicles, suggesting that it will hit more than 100,000 units in Q3. That would be a monster production result. One report suggests Tesla produced roughly 53,000 units in July and August. If those reports are accurate, it's hard to believe it will produce north of 12,000 a week to close out the month. Should Tesla hit its Model 3 target, be profitable and cash-flow positive, though, Tesla bulls should find some relief in the quarterly numbers. It would also add another notch of credibility to Tesla's management team, perhaps giving some confidence to investors.